The Russian Government requires that certificates for sailing vessels must state that it gives the right to sail the vessel with square sails more than 22 sq. m.
The information below can be found on our website. Our official letter providing this statement is below with letter attached. 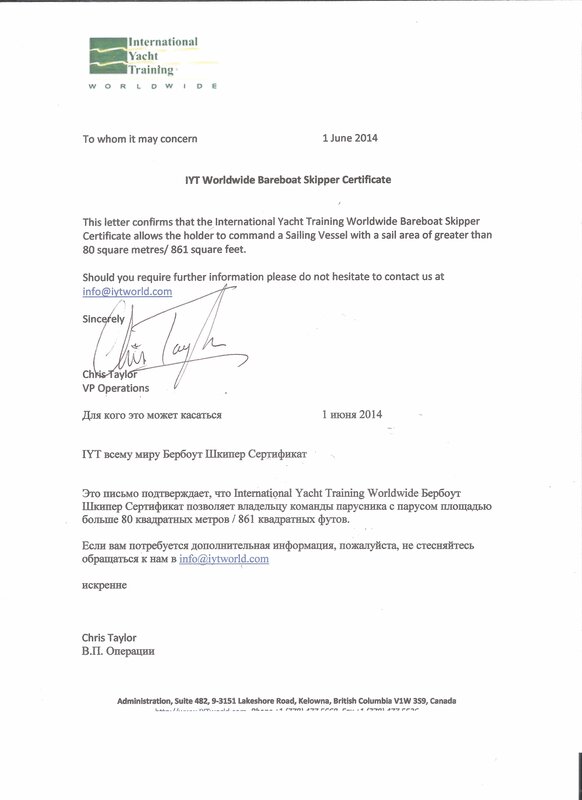 IYT's International Bareboat Skipper Sail Certificate covers command of a sailing vessel with a sail area of greater than 80 square metres/861 square feet. Please see the official statement here.